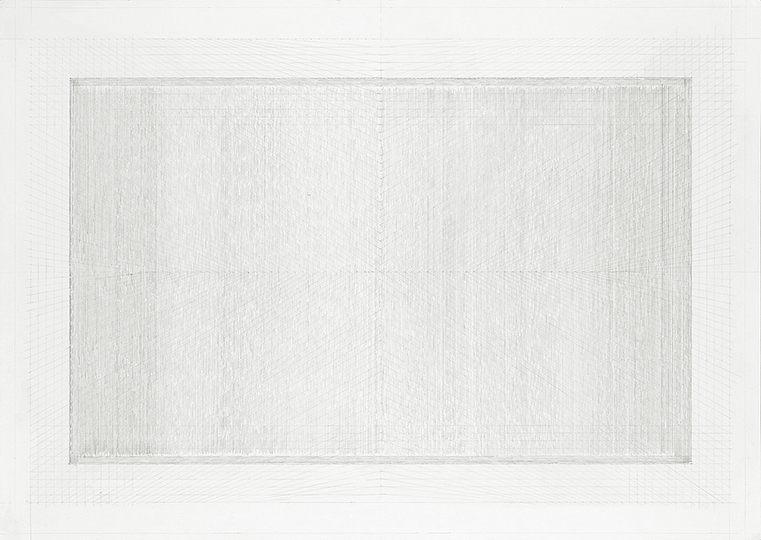 During 2007, 2008, and 2009 the artist made a series of drawings titled Views, and Visions in which thin lines, soft curves and overlapped color layers weaved structures that recall territories, maps, or spaces that we inhabit, but also microscopic visions or purely mental spaces. None of the represented images relate to a specific model in reality. Some of them arosed from vague memories, others are variations of formal typologies. The word vision, refers to the blank, empty image before vision is focused onto something specific, to the idea of pure vision alone. It also refers to an empty film frame in which no image has been exposed. A frame solely containing light and air.